There are moments when you wish you'd have amnesia. 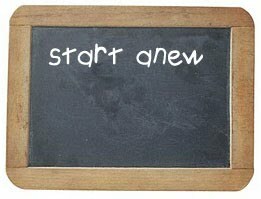 Forget the entire past and start afresh from scratch. All unresolved memories and unanswered questions. Who continue to haunt your dreams. Realize your memory had been white-washed? Like Jason Bourne, or that girl in 50 First Dates. Only those people with you who truly love you. Who'd do anything just to see you smile. All others erased... emptied from the Recycle Bin too. To start once again with a clean slate.